… I will practice laughter yoga every day. Laughter yoga is the practice of deliberate, voluntary laughter. The idea is that forced laughter soon turns into real laughter and has the same benefits for body, mind and mood that spontaneous laughter does. Laughing on purpose can help us learn how to create laughter from the inside and how to use laughter to shift our moods, rather than waiting for our moods to shift before we can laugh. Laughter yoga is usually practiced in groups. We get the most benefit if we can laugh vigorously for 20-30 minutes, according to Laughter Yoga Aotearoa New Zealand. Natural laughter usually comes in bursts and this why practicing in groups can help. But there’s no reason why we can’t also practice laughter yoga alone, using a few simple exercises to get us started. This week I will schedule time to practice laughing for no reason, without needing something ‘out there’ to make me laugh. It might help to start with just a few minutes and build up to 10, then 20, then 30. I might also need to warn the people I live with to expect to hear some loud laughter coming from my room for a while – they might even want to join me. Laughter yoga is something that can wake my body up, so I won’t schedule my practice time right before bed, unless I find that it tends to make me feel relaxed and tired afterwards. It will probably feel strange to do this at first, but that’s okay. This week, I give myself permission to be silly for a brief time each day. To practice laughter yoga, I will do some simple exercises that involve forced, extending laughing. Standing up straight, feet hip-width apart, I will raise one hand in front of me as if I am holding an imaginary (and bottomless) cup full of laughter. I will take a deep breath into the bottom of my belly, then ‘pour’ the laughter into my mouth for the entire out-breath. As I tip the ‘cup’ into my mouth and breath out I will force myself to laugh out loud as I ‘pour’ more of the laughter out of the cup. I will repeat this for ten breaths in and ten breaths out, trying to pour more and more laughter out of the cup each time. This time I will imagine the cup is full of different kinds of laughter. The light, giggling laughter is floating on the top, the deepest belly laughter is sitting on bottom. This time, when I tip the cup to my mouth, I will start with light tee-hees and move through the whole range of laughs until I get to the loudest, deepest ha-ha-has. With each cycle of breaths, I will try to laugh for a little bit longer. Standing with my back straight and my feet hip-width apart, I will place both palms flat on my belly and imagine I am holding a giant, empty balloon against my stomach. This time, on my first out-breath my laughter will fill the balloon, until my arms are stretched out in a circle in front of me. Then I will take a deep breath in and slowly release the laughter out of the balloon on my next out-breath, laughing out loud until the balloon is emptied and my palms are once again flat on my belly. I will repeat this two-step process five to ten times, aiming to laugh for longer each time. Standing with my back straight and my feet hip-width apart, facing a wall, I will pretend I have a laughter ball in my hands. I will take a deep breath in and on the out-breath, I will ‘throw’ the ball at the wall with a burst of laughter, and ‘catch’ the ball when it bounces back with another burst of laughter. The louder my laugh, the faster the ball will travel. I’ll experiment with a different kind of laughter each time. Standing with my back straight and my feet firmly grounded on the floor, this time, my laughter will fill my body. I will imagine each in-breath fills a different part of my body with the energy to laugh. On each out-breath I will laugh out loud from that part of my body, starting with my toes, legs, stomach, chest, shoulders, nose and the top of my head. If I work up to spending five minutes on each exercise, I’ll eventually be doing 20 minutes of yoga laughter a day. As I move through the week I will observe how this affects my body and moods. 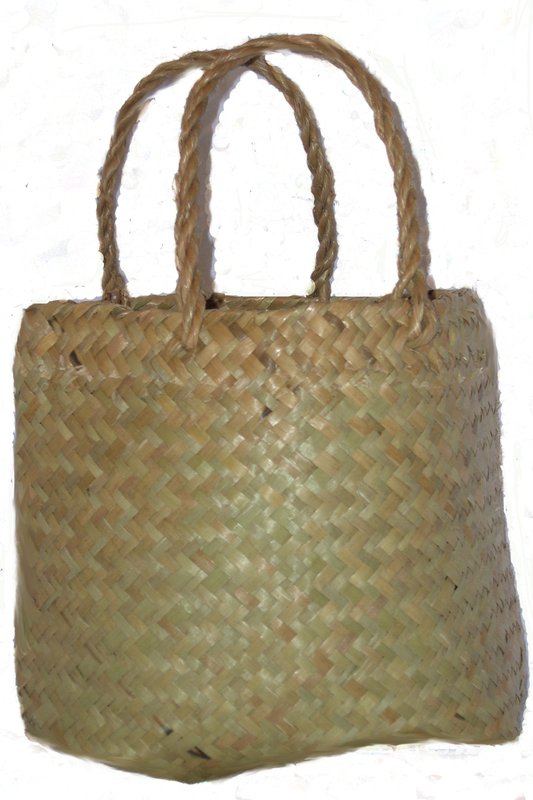 Once I am comfortable using yoga laughter at an everyday kind of time, I will add it to my Personal Coping Kete as a way of coping during times of stress and distress. Doing some laughter yoga could allow me to take a break from my distressing thoughts, shift my body’s physical stress responses and release some of my brains happy chemicals. … I will practice taking a break from thinking and focusing on something relaxing to improve the moment. This week, when I notice myself caught up in my thoughts, I will pause and mindfully look around me or out the window at all that is moving. For just a minute or two, I will mindfully breathe and notice all that is moving in the space where I am and, if I am indoors, all that is moving outside my space, through the window. As I stand or sit, I will simply observe the movements of the things around me. When I notice my mind wandering back to my thoughts of the future, I will congratulate myself for being mindful of my thoughts and turn my attention back to noticing the movement of the things around me – the direction the grass is blowing in, the way the flowers in the garden throw their heads around, the way the trees move, the laundry on the washing line and how it all moves together. After a minute or two, I will return to my day and what I was doing. 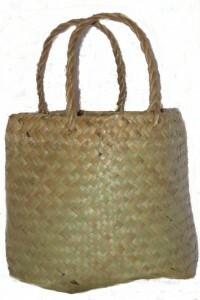 Once I am comfortable interrupting a thought and making myself mindful of the movement around me, I will add ‘Look for Movement’ to my Personal Coping Kete as a way of giving myself space when I am distressed. If I can give myself space when I am feeling stressed or distressed, I will give my mind and body time to rest and make it easier for me to face the things that are tough. If I can give myself space before I react to my distressing feelings, I might react in a different way that has more helpful consequences for me in the long-run. 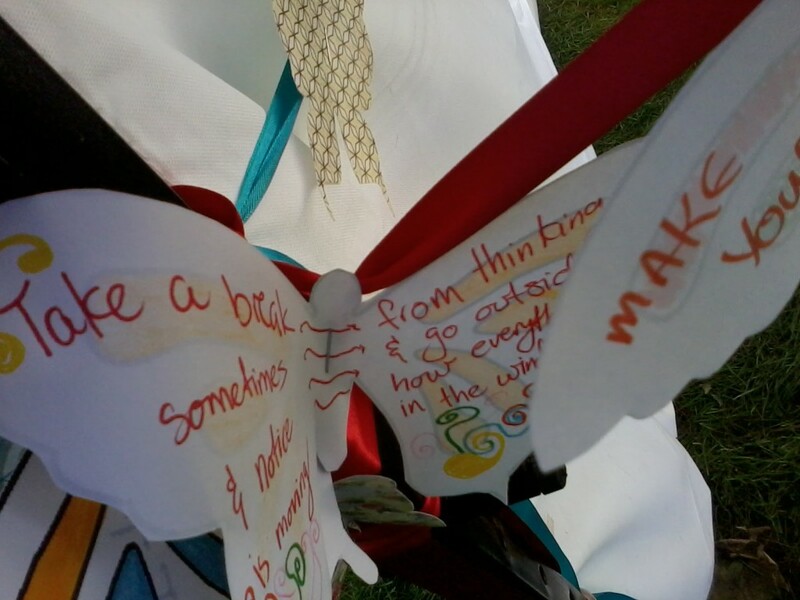 This week’s Coping Kete strategy comes from a member of the public who attended The Butterfly Diaries launch on the 13th of October and decorated the launch tent with a strategy that helps them feel better when things are tough. …I will practice getting grounded by slowing down and observing the sounds around me. I will begin by closing my eyes and noticing the sound of my breathing, then I will gradually move my awareness away from my body as I notice the sounds I can hear close to me, then further into the distance. 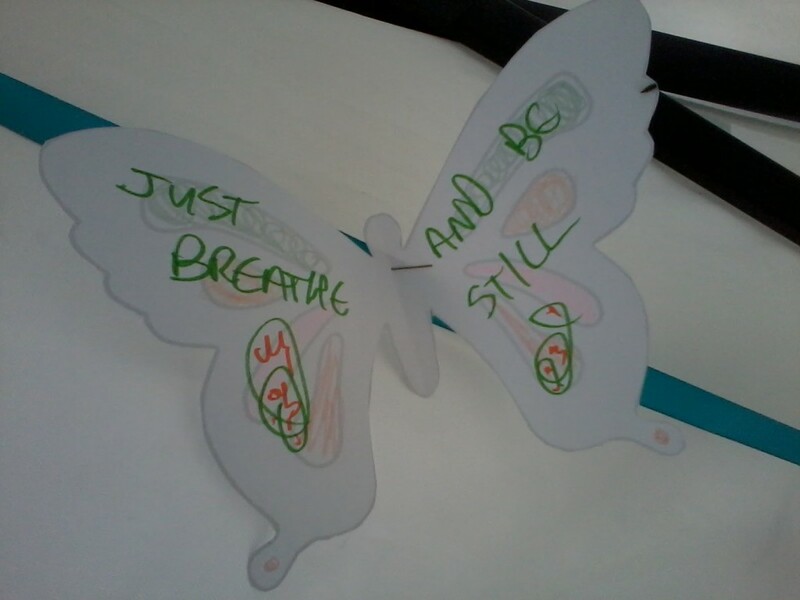 Then I will bring my awareness back towards my body until I become aware of the sound of my breathing again. Each time I notice my mind wandering back onto concerns of my day, I will bring my awareness back to the sounds around me. As I return from the distance to the sound of my breathing, I will remind myself “I am here, in this place, breathing my breath.” Then I will open my eyes and return to my day. I’ll start out by practicing this exercise for one or two minutes every morning or night and then move to practicing pausing during the day between tasks to take a moment to ground myself within my body and in environment around me. In this way I will get used to letting go of my thoughts and concerns and giving myself a moment of peace. This will help prepare me for interrupting unhelpful thoughts and giving myself a moment of peace when emotions are running high. Once I am familiar with this kind of exercise I will add ‘Grounding Myself with Sounds’ to my Personal Coping Kete as a way of shifting my mind away from unhelpful thoughts during moments of stress and distress.